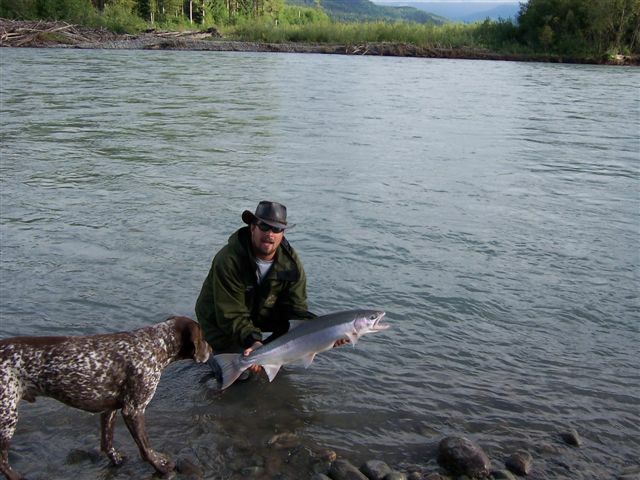 The fish was caught on the Skeena River, BC in August of 2006. I was using a Sage 8wt XP with an Abel reel and about 12ft. of sinking head on the line. 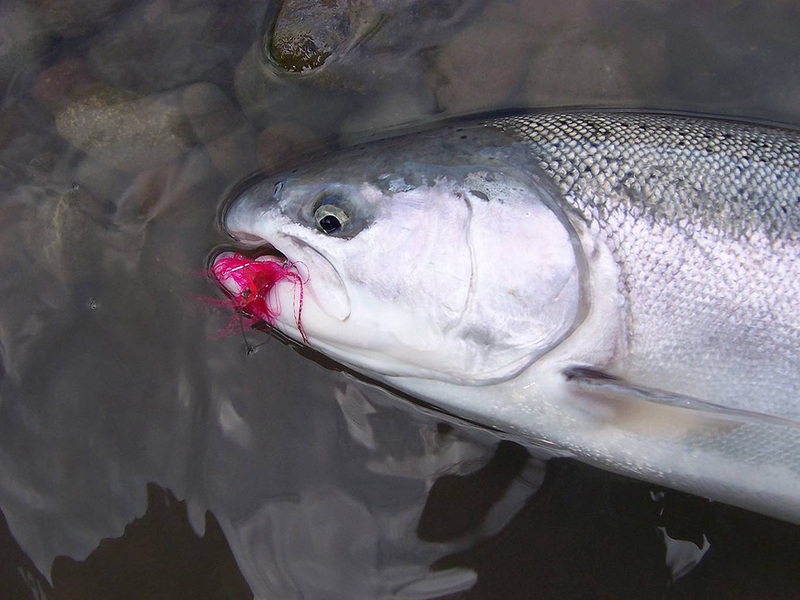 The fly was tied by one of the guides at the lodge (Nicholas Dean lodge) out of Terrace British Columbia. The camera was a little Sony with automatic settings and I’m not sure of the model. In the redfish picture (I included above) I got so excited to get out the camera (my first redfish) I put it on the deck and it slid right into the water. Salty water. It was fried. It was an exceptionally warm summer in BC hat year and the river was dumping a lot of glacial melt into the river. It was a graphite grey color and almost no clarity. 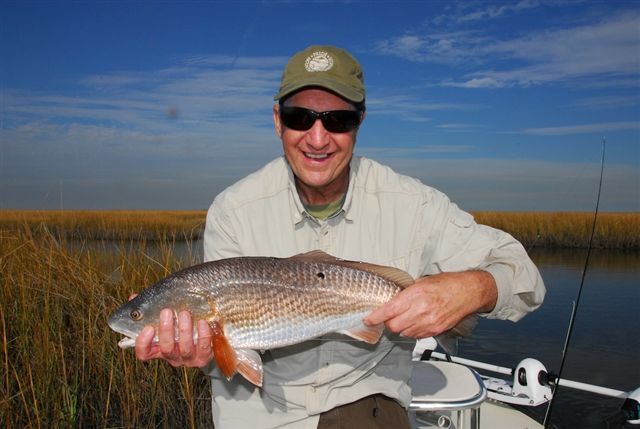 This stretch where this fish was caught was fairly far inland and like a funnel for the fish. I think 3 or 4 fish were caught in that stretch that same day. On the far bank bears were climbing on the driftwood left from high water. This was the last picture selected for the contest of march, but don’t worry, the April photo contest will start this week with a new set of gifts ! I’m 58 years old and live in a suburb of Sacramento, CA. 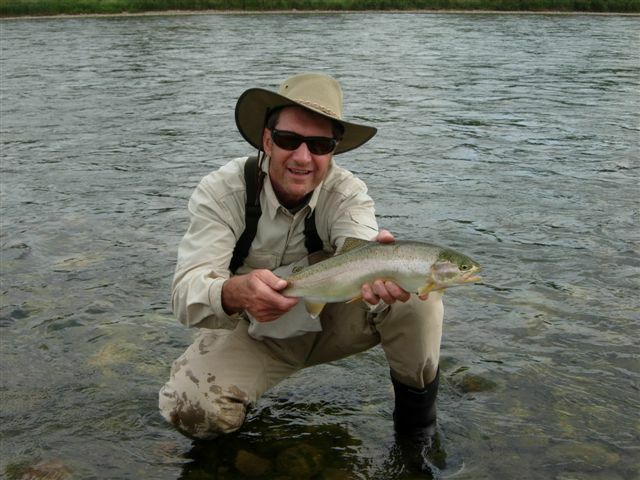 I’ve been fly fishing since 1973 and have lived in Colorado before moving to California in 1988. I fly fish for trout mainly but also steelhead, stripers, shad (all in our rivers) and salt water when I get the chance.